Raised in Santa Barbara and based in New York City, Justin Jay specializes in advertising and portrait/lifestyle reportage of artists, athletes and musicians. Over the course of his career, he has had exceptional access to the private lives of many of today's top personalities. He has shot personal projects for artists including Jay Z, Sean "Diddy" Combs, The Strokes and The Foo Fighters. 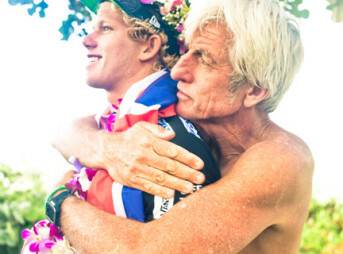 Justin has spent the last six winters shooting a book project in Hawaii documenting the culture of pro-surfers and chronicling the spectacle of the Triple Crown. He has since garnered a reputation as someone who can artfully document intimate moments and gain access to the the insular world of the North Shore. During the summer months, Jay splits his time between New York City, Rockaway Beach, and Los Angeles focusing on advertising and editorial clients.